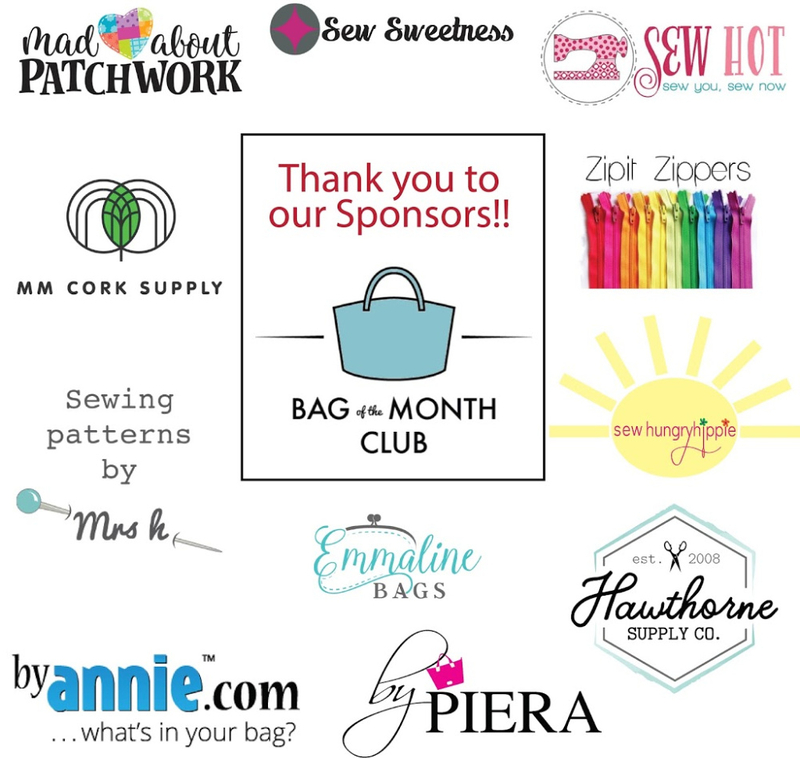 Find out how to win prizes for sewing the club bags! Last year’s competition was such a success; we'’ve decided to keep it the same for the 2019 season with some fabulous new prizes! We will have monthly 1st, 2nd and 3rd judged prizes but we will also have monthly random draws to all who have completed their bags. To those who complete all 3 bags and submit a photo collage at the end of the session, we will also have 3 generous prize packages that will be awarded randomly. Click each month below to enter your bag photo! Upload your Ring Sling bags below by 7th February to be entered into the prize drawing to win one of 3 PDF patterns from Sewing Patterns by Mrs H. Upload your Ring Sling bags by 15th April to be in with a chance of winning one of the 3 judged prizes for January! Please note that you will need to scroll to the bottom of the existing photos to find the blue 'Add your link' button below. Upload your Out & About bags by 7th March to be entered into the prize drawing to win one of 3 PDF patterns from ByAnnie. Upload your Out & About bags by 15th April to be in with a chance of winning one of the 3 judged prizes for February! Upload your March bags by 7th April to be entered into the prize drawing to win one of 3 PDF patterns from Emmaline Bags. Upload your March bags by 15th April to be in with a chance of winning one of the 3 judged prizes for March! Upload your January - March Collages by 15th April to be entered into the prize drawing for one of the 5 Grand prize packages! There are 3 different types of prizes this season! Next 1 BOMC Session's membership for free! Monthly prizes, either judged or random, will be awarded to members who have submitted a photo of their completed bag for the month in question. Competitive prizes will be judged according to creative use of materials, fabric and sewing techniques but not exclusively by sewing skill. Bag makers of all skill levels are encouraged to submit photos of their bags. The random draw of free patterns will be done at the end of each month (from those who have submitted photos) using a random number generator such as random.org. To be eligible for the monthly, judged prizes, photos of individual bags must be submitted by April 15, 2019. To be eligible for the monthly free pattern prizes, photos of individual bags must be submitted one week (7 days) after the final day of the previous month. All photos must be submitted on this page.